In order to raise funds to help support the Madison Police Department (MPD) K9 Unit, Capital K9s plans a variety of events throughout the community. Our signature event, Dog Paddle, takes place in early September. Dogs and their owners are invited to Goodman Pool in Madison where the dogs have an opportunity enjoy a swim in the pool with their canine buddies. Other fund raising events are being planned over the next several months. To further engage the community and generate awareness in order to raise funds, Capital K9s participates in community events such as Mounds Dog Fest, Animart Pet Fest, and Law Enforcement Appreciation Night at the Mallards ball park. K9 teams also make appearances at smaller events and schools in order to teach children and adults about the importance of the work that police dogs provide to MPD and the community as a whole. 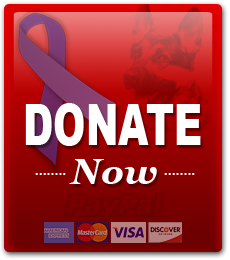 We also encourage individuals or small groups to consider hosting a fund raiser at their business or home to learn more about Capital K9s and its goals. This could include a demo of the dog’s capabilities and a speaker from Capital K9s or MPD. Events take time to plan, promote and carry out. If you have an interest in helping us organize an event, please contact us. We would love to have you volunteer! Please check our calendar of events during the year the find out what is happening.